LEESBURG, Va. — House Democrats decamped Washington Wednesday to reset and refocus at a posh resort in rural Virginia one day after an ideological fight over spending exposed the sharp divides simmering within the caucus. Democrats are hoping to celebrate their first 100-days in the majority with a show of unity as they look to formalize their summer agenda — which is expected to center heavily on infrastructure and drug pricing, two areas that could receive bipartisan buy-in after months of mostly focusing on high-level messaging bills to satisfy the party’s progressive base. “Although [the retreat] was initially scheduled earlier in the year, I think it has an added benefit as we observe the first 100 days, because we can take great pride in what has happened in the first 100 days,” said Speaker Nancy Pelosi (D-Calif.) at the opening of the policy conference Wednesday afternoon. The retreat, more a bonding exercise than anything else, will include sessions on everything from Instagram and how to communicate in the era of President Donald Trump to panels on youth engagement and insights from members of Democrats’ sprawling freshman class. Lawmakers can also participate in a trivia session, a cooking demo by D.C. Chef Cable Smith and even an hour of yoga for members and their families Thursday afternoon. Celebrity couple John Legend and Chrissy Teigen will address Democrats Wednesday night and Federal Reserve Chairman Jerome Powell — a Trump appointee who has been in the president’s crosshairs for months – will speak to the group Thursday evening. Pelosi, House Democratic Caucus Chairman Hakeem Jeffries (D-N.Y.) and the rest of Democratic leaders hope to use the conference to highlight the big-ticket legislative items they plan to pivot to in the coming months. Several committees are involved in crafting a wide-ranging infrastructure bill, which will not only address highways and transit but housing and clean water policy among other things. The bill is expected to be on the House floor in early summer and lawmakers’ “working lunch” on Thursday will focus on the issue. “We’re moving ahead and we want to do that in a bipartisan fashion, with the president, with the Senate and with the House. We want to get that done for the people,” House Majority Leader Steny Hoyer (D-Md.) said. Democrats are also expected to vote on legislation to lower prescription drug prices as soon as May, another area where Democratic leaders are hopeful of gaining some Republican support. Democrats will have a session on raising the minimum wage to $15, a fight that has recently bubbled up in the caucus and further exposed the divide between the party’s two ideological flanks. But absent from Democrats’ schedule is controversial legislation like Medicare-for-All and the Green New Deal, progressive policies that do not have broad support from moderates in the caucus. As they prepared for the retreat Wednesday, Democrats paused to reckon with what they have and haven’t done three months into their new majority. The first month of Democratic rule was consumed by the longest shutdown in U.S. history — a slow and frustrating start for more than 60 freshman members. Pelosi’s highly public spending fight with Trump trampled on the Democratic message and tested members’ resolve. But Democratic leaders sought to quickly pivot to campaign promises, holding a dizzying number of hearings on climate change, minimum wage, college costs, Obamacare and more. Democrats have since cleared several major bills — including legislation to overhaul the nation’s campaign finance system, close the gender gap, and to expand gun background checks — that stand little chance in the Senate. But some in the sprawling Democratic caucus say it’s about time to move past the partisan messaging bills, anxious to vote on drug pricing or infrastructure measures they can tout back home. 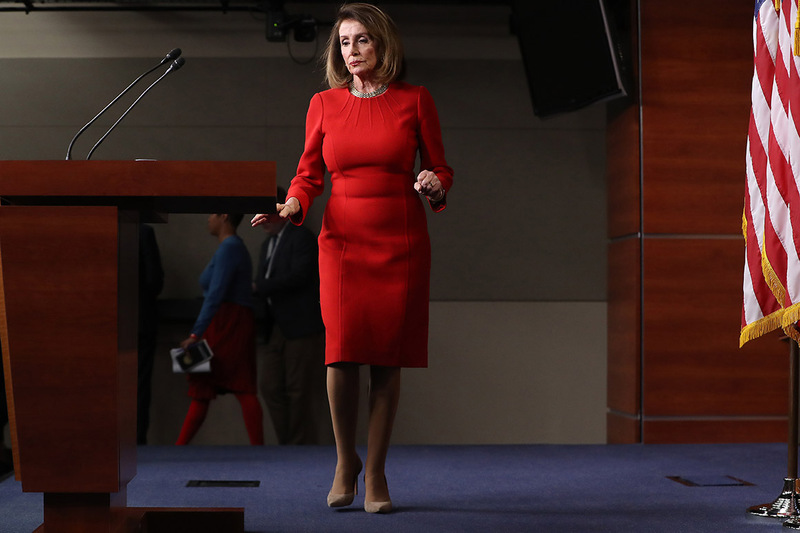 House Democrats are on the brink of another knock-down, drag-out spending fight with Trump and congressional Republicans. This time, they’ll have to confront the nation’s debt ceiling and billions of dollars in looming budget cuts. Democratic leaders will also need to unite the party on perennially tough issues for their party like immigration and trade — at the same time they’re hearing pleas from rank-and-file members for a chance to work on issues like drug pricing that will require old-fashioned compromise with a volatile president. “I think infrastructure is the one big piece that we all know, sooner or later, if we don’t do it, we will not have met our own expectations,” he added. The cracks have begun to show within the Democratic caucus on ideological issues like the role of Israeli influence in American politics, as well as policy fights like a nationwide $15 minimum wage. The divide over the budget bill was the clearest illustration yet of the ideological divides within the caucus, and the challenges that poses for Pelosi and her deputies moving forward. Ultimately, Democratic leaders yanked the budget bill from the calendar, not wanting to go ahead with a floor vote Wednesday that was short the votes to pass — a potentially embarrassing setback that would’ve clouded the entire three-day retreat. “Governing not easy, as we’re finding out,” House Budget Committee Chairman John Yarmuth (D-Ky.) said just before hearing to the retreat, recalling a tumultuous month as he tried to win support for his own budget measure.